A fireplace instantly becomes the focal point of any living room, creating a stunning feature in both modern and traditional properties. To keep your fireplace looking as good as the day it was installed, regular fireplace maintenance and cleaning is required, a task often overlooked by homeowners. Giving your fireplace a thorough clean during the summer will preserve its beauty throughout the seasons and will ensure it is fully functional when it is needed most during the winter. Chimney maintenance will help to improve the efficiency of your fireplace which, in turn, will reduce the cost of heating your home. 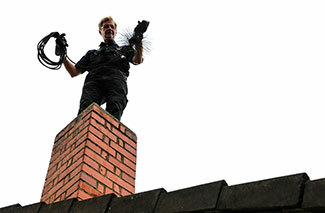 Chimneys should be cleaned at least once a year during the summer season when they are not in use, and more often than this if they are used more regularly. To clean the inside of your chimney properly, you will need to climb onto the roof to remove the chimney cap and brush all of the soot and creosote off the inside. Not only that, the chimney’s damper will need to be opened to allow all of this debris to fall to the bottom of the chimney so it can be cleared away. 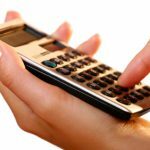 Both of these jobs can be rather dangerous, so you may need to hire the expertise of a professional to help. The cosy, traditional look of a roaring wood burning fire has made it a popular choice in both contemporary and traditional properties alike. 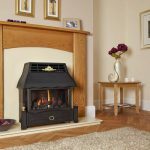 However, whilst the log burning flame can add a touch of character and charm to a room, the ash can create quite a mess, which is why fireplace maintenance is imperative. Start by carefully removing all internal parts – such as the grate – and vacuuming the ash and debris inside the appliance with a specially designed ash vacuum cleaner; do not use a normal vacuum cleaner as this will just blow the ash particles around rather than getting rid of them. Next, wipe the inside of the stove with a brush or scraper to remove more stubborn debris, and use the vacuum cleaner again to clear this away. Clean the grate and all accompanying parts using a wire brush and check for any damage which needs to be replaced. Finally, put all cleaned parts back in place according to the manufacturer’s specifications, and lightly oil the door mechanisms and hinges. Avoid using abrasive solutions when cleaning either the interior or exterior of the stove as this can damage the surface. When looking after your surround as part of fireplace maintenance, it’s important to adopt the right cleaning method to ensure all stains are removed and no damage is caused to the surface. The low maintenance qualities of wooden fireplace surrounds means they usually only need regular dusting to remain in pristine condition. Wood surrounds with a wax finish can suffer from marks and scuffs over time, so you may need to reapply a top coat of wood wax to restore its look. When applying a wax or polish to your wood surround, we recommend that you test it on a small area first to ensure you do not damage its finish. A clean, damp cloth will remove any marks on the marble which can be simply wiped clean. For more stubborn stains, there are dedicated marble cleaners available which will remove any unsightly blemishes without damaging the surface. For a stunning shiny surface, you can use a dry duster to buff the marble up and give it a polished finish. Applying warm water to the stone surface using a sponge will remove any marks which are ruining its finish. For more stubborn stains, try using a mild detergent which will remove the marks with ease. Wire wool can be used to buff polished cast-iron surfaces to a high lustre, and you can remove any surface rust by adding a small amount of oil, such as WD40. Any scratches and marks on the cast iron surface can be covered by applying a fresh coat of high temperature paint. 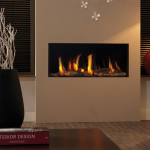 The innovative design of modern electric fireplaces means there is no need for a chimney or burning logs which, in turn, means there is less dirt and debris; all that is required is some light dusting to remove any dust and cobwebs. Start by removing the screws on the front panel and carefully taking the panel off to access the interior of the fireplace. Clean any dust or cobwebs from the grill and the blower unit of your electric fire, but make sure to take extra care to remove dust from the fan assembly, as this is the most prominent collector of dust and dirt. Once the interior is clean you can replace the front panel and screws, making sure everything is put back in place according to the manufacturer’s instructions. 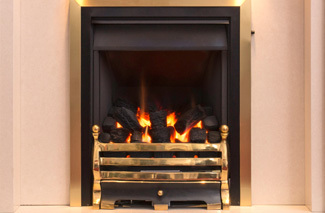 A top tip when cleaning your electric fire is to never use abrasive cleaners as they can be too harsh on the surface. You should also avoid using your household vacuum cleaner to remove the ash as this will simply blow the particles around and create more of a mess; there are ash vacuum cleaners available which have special filters to remove the particles more efficiently. If you decide to install an electric fireplace in your home, you must make sure that the outlet for the heater is able to handle the minimum power requirements. The power requirements will be provided in the manual, the back of the heating unit or tagged on the cord. 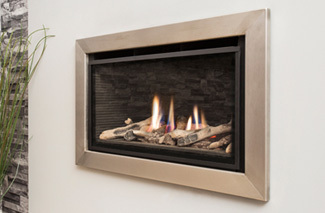 Before you start using your electric fireplace, you must be 100% sure the outlet can handle the power. If not, you risk blowing a fuse or short circuiting your home. Exposed wires are a serious danger to small children and animals, so be sure to check for exposed cables and rectify them if necessary. When inspecting your electric fire, make sure you keep an eye out for any exposed wires which can pose a serious risk to your children or animals, and have these fixed or replaced as quickly as possible. 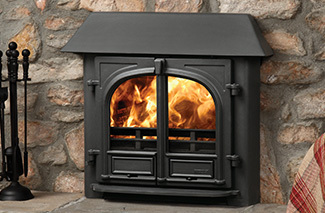 The flickering flame effect of most gas models eliminates the risk of any mess generating from ash or soot. However, dust and debris can accumulate inside the fireplace, so it’s important to make sure your gas fire is cleaned and maintained on a regular basis. 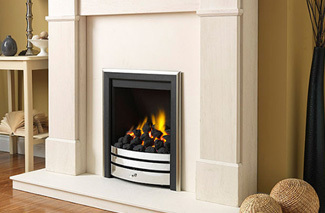 You must start by making sure the gas fire is fully switched off to avoid any accidents. With a gas fireplace, ensure that the glass is clean and the logs and accessories are arranged to look as good as possible. It is vital that fan and air circulation passages are clean and any vents are totally unobstructed. Next, remove any dust or cobwebs using a clean cloth, and suction any dirt away using a special vacuum cleaner. Make sure you focus on the fan and any vents as these are the areas where dust and dirt collect the most. 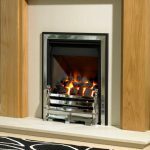 If a gas fire has not been maintained or cleaned properly, carbon monoxide can pose a serious threat; getting a professional to inspect your fire regularly is something that should be done with all fireplaces. A registered gas engineer is trained to ensure your fire is completely safe, and will spot things that you otherwise may have missed. 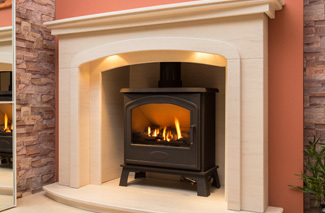 Here at The Fireplace Studio, all our expert engineers are fully trained and registered, so if you need your fireplace inspecting, contact our in-house team to arrange an appointment or a no-obligation quote. Arguably the most important safety aspect for gas fire owners, a carbon monoxide detector can save lives. Make sure your detector is installed near your appliance, and carry out regular checks to make sure it is working, and replace the batteries regularly to ensure that you and your family can be as safe as possible. Glass screens and doors are an absolute must for families with children and household pets, regardless of the type of fire you have. The stains on your fireplace glass door can build up over time as a result of ashes that are released from the fire. To clean the glass properly without damaging it, you need a little elbow grease and the right products. A non-abrasive glass cleaner and a crumpled up piece of newspaper should be all you need to clean the fireplace glass door, screen or guard. Just spray the solution on the newspaper but don’t wipe yet. Dip the wet part into the ashes and start wiping in circular motion on the glass. As you’re wiping, you will notice the stains on the door breaking down. Do this task one more time before wiping off with a fresh piece of paper towel. If a normal glass or window cleaner isn’t tough enough in removing the built-up carbon residue, as an alternative you can use household ammonia or an oven cleaner. These heavy-duty solutions will all be effective in removing dirt and stains and the best thing is they don’t require much effort on your part. Just remember to use these chemicals with utmost caution by wearing rubber gloves and goggles. You should also open your windows to let air into the room. To prevent air leaks whilst cleaning the fireplace doors, the glass must be sealed tightly. This can be done with a woven gasket glued on one side. Before installing the gasket you can clean the glass and then remove the paper backing and lay it on a flat surface with the glued side up. The edge of the glass should be centred along the gasket and pressed into the adhesive. Now wrap the gasket’s edges around the glass edges until you see brown streaks entering from the door frame. This is when the gasket needs replacing. Although the above cleaning methods are effective, it may take you some time and effort to completely remove all the stains and grime. It’s best to do this task over a few days and take regular breaks. After all, it won’t make much difference if the dirt sits in-between cleaning sessions. Be sure to keep the cloth wet throughout the cleaning as this will avoid damage to the glass. With regular cleanings, the stain won’t build up on the glass anymore. The last tip is to avoid using your household vacuum cleaner to remove the ash as the small particles will be blown back into the air. There are special ash vacuums that prevent this from happening as they contain filters. Look for these products on the manufacturer’s website or find a reputable supplier online. 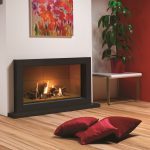 Ideally suited to both electric and gas fires, artificial coals are strategically placed at the front of a fire to create an authentic look and improve the performance of the appliance. Regular usage means the colour of fake coals can start to fade over time which can impact the overall look of your fireplace. The fragility of fake coals means they can become damaged if they are washed using water or a cleaning agent, or if they are vacuumed. As such, the best course of action to take is to use a high temperature fake coal paint spray which will enhance the colour of the coals. 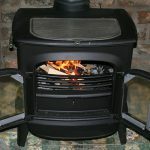 Incorrect placement of the fake coals will not only cause a buildup of soot and affect the fire’s performance, but it can also result in the production of carbon monoxide. Therefore, it is imperative that the coals are arranged properly so that they do not pose a risk. 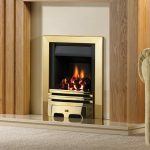 A well maintained fireplace is a beautiful thing, but if it is not looked after, it can damage the look of your living room and, more importantly, the safety of your home and those who inhabit it. Following the above fireplace maintenance and cleaning advice will allow you to enjoy your fire with total peace of mind. 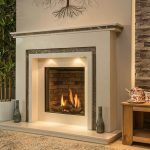 When choosing your gas or electric fireplace, there can be a lot to remember. 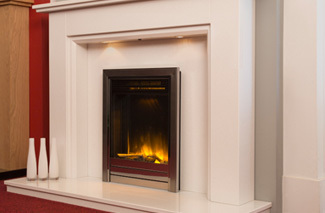 Here at The Fireplace Studio, our fantastic range of fireplaces is matched only by our excellent service. We are committed to ensuring that not only do you get the perfect fireplace, but you get the perfect installation, maintenance and customer service, too. If you’d like to find out more, simply get in touch with our in-house team on 0115 939 6169 and we’ll be happy to help.